Did you know that heart disease is the No. 1 killer among women, causing one in three deaths? That means women just like you – mothers, sisters, friends – are dying at a rate of one per minute. In fact, by the time it takes you to read this blog post, another woman will die from heart disease. Friday, February 1, is National Wear Red Day. We encourage you wear red that day to encourage heart disease awareness, and make heart health a priority. First, find out your risks for heart disease. Get started by visiting GoRedForWomen.org to find out what factors influence your risk for heart disease. Then, enjoy these Go Red! 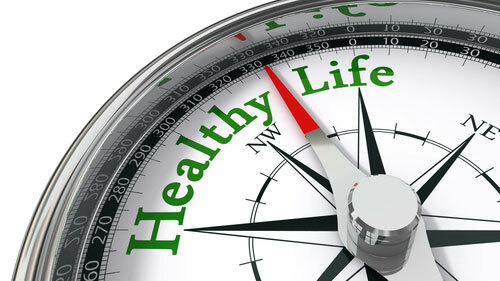 foods and drinks, and make your heart health a priority in 2013 and beyond. Ravin’ Red Smoothie: Blend one cup low-fat yogurt, one-half cup frozen strawberries, one-half cup frozen raspberries and one frozen banana. Red Pasta: Cook whole-wheat spaghetti, and top with low-sodium marinara sauce, diced tomatoes, and sun-dried tomatoes. Baked Red Apple Dessert: Fill one whole red apple (cored) with one-fourth cup chopped almonds, one-fourth cup dried cranberries, one tsp. honey and one tsp. brown sugar. Bake for 15 minutes at 350° or until sugar bubbles. Perfect Polenta: Cook polenta, and mix with roasted cherry tomatoes, roasted red bell pepper, and sun-dried tomato. Stuffed Red Bell Peppers: Stuff one red bell pepper (cored) with one-half cup cooked brown rice, one-fourth diced red onion, one-fourth cup ground turkey (browned), one tbsp. parsley, salt, and pepper. Bake at 350° for 15 minutes or until pepper is heated through. Roasted Red Cabbage Salad: In a large bowl, combine two cups chopped red cabbage (roasted), one-half cup red onion (thinly sliced and sautéed), one-fourth cup red wine vinegar, one tbsp. olive oil, and sea salt. Red Bean Salsa: Combine two cups red beans, one-half cup diced red onions, one cup diced red tomato, one-fourth cup diced jalapeño (remove seeds), one-fourth cup chopped parsley, two tbsp. lemon juice, salt, and pepper. For more heart-healthy recipes, visit the Heart Health Recipes page at GoRedForWomen.org or visit ShopGoRed.org to find a wide selection of cookbooks. 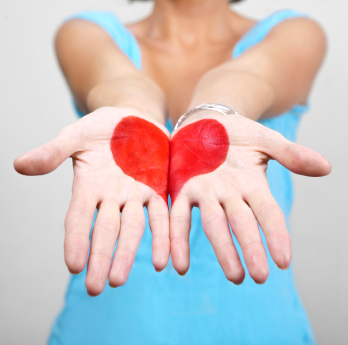 To find out your risk for heart disease, visit the Know Your Risk page at GoRedForWomen.org. Just as you take care of your vehicle for maximum performance, the same applies to your body. For the third year in a row, PacificSource is bringing the popular Healthy Life Garage to the Portland Auto Show. Join us this weekened – Jan 24-27 – and start your journey to becoming healthier with a free, preventive maintenance “check up” for yourself. We’ll be doing blood pressure readings and balance testing, while feuling you up with healthy treats like apples and dip, infused water and samples from Dave’s Killer Bread. Physical therapist Colin Hoobler will also be on hand to teach you about managing joint pain. And kids always enjoy our Plinko game with nutrition trivia. So while you’re checking out some cool cars, drop by and take a healthy break with us.